1 Blatt : 54 x 69 cm s.n. 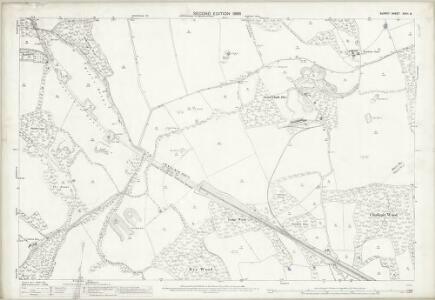 1 : 31680 Woodland and agricultural land dominate this plan, which covers an area from Beckenham and Croydon at the top, to Felbridge, Hackenham and Gotwick at the bottom. Buildings are infilled and blocked together at Croydon, the largest settlement shown.